After completing my brother's computer build (my first build) I contructed a new computer based off of my brothers build for my neighbor. I decided after that, I should build my self one finally, since my "gaming rig" was an Origin PC Laptop( great specs(980m, i7 6700K, 16GB RAM), but heavy, and not aesthetically pleasing, and not 4K/VR ready). I also was saving money for college but since my Aunt and Uncle got me the core i7 for Christmas and grandparents gave me $300 along with a new gaming desktop chair from my parents, I decided to purchase the parts right away. I was looking for a good case to work with for cable management, along with great fans/water cooler that had RGB. I came across the new NZXT Aer Fans and Kraken water cooler which instantly went right into the list. I swapped around RAM often and eventually got 32GB of the Corsair LED RAM for about $30 less than buying 32GB of HyperX Fury RAM... excellent! Since I was going for a LED build I needed to find a good motherboard, for a cheap price which wasn't red/black, green, etc.. I needed something that would be a "neutral" color when showing off the LEDs and swapping between the colors. 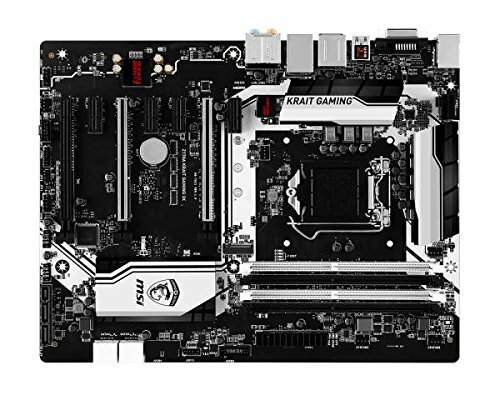 I found this black and white motherboard made by MSI of all people. The graphics card was going to be a tripple fan 1080 with RGB and so I jumped on the Asus STRIX GeForce GTX 1080. The Wifi adapter also helps with the reach of y 5GHz network through walls and into the room upstairs away from the router. My download speeds for steam have increased by 2.3 mb/s! The PROS: - Great LEDs. Amazing Lighting. - To my surprise, the Hue+ comes with a lot of LED strips (maybe I should have read a little more about it?? :P) - Wifi strength is amazing! - Water cooler is quite and keeps CPU cold - GPU stays cold even though it is close to the bottom of the case. - RAM lights up. - CABLE MANAGEMENT IS AMAZING!!! - Due to the 1080p monitor, I get stunning FPS and GPU doesn't break a sweat. - Magnetic 'puck' to hang VR headset/headphones - Case has VR ports and VR(HDMI, USB 3) cables ready for a VR system build. - When I play CS:GO my fans adapt to the gameplay and display y health through color along with the time left for the bomb by beating rapidly before it explodes. Personally, I thought this was pretty cool. - 3D Mark determined my PC is better than 88% of all others that did the same test; woohoo! The CONS: - Water cooler pushes on the RAM slot closest to the CPU. Not enough to be of huge concern. RAM stick still functions - Case could use one extra fan slot on the top of on the bottom. (Total of 4 inside the case) - Monitor has no audio. 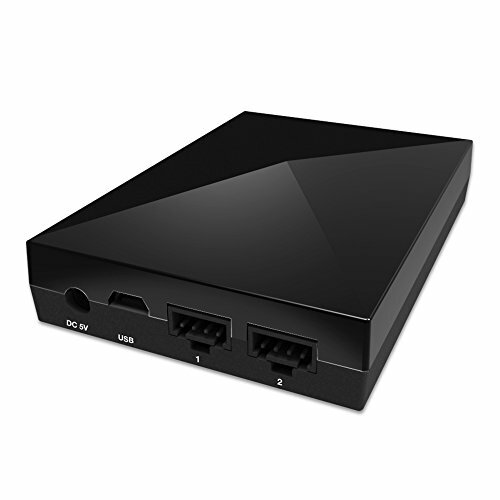 - Needed to get the NZXT USB hub due to me needing one more USB port. The machine is used for anything from gaming, to browsing the web, to word documents. Comments: - I got a 1080p monitor because I do not crave a 4K display, nor have the money to buy one. The 144Hz is awesome. - As of uploading this, I may have moved the GPU up to the first PCI slot for airflow, and moved the wifi adapter down. - The case comes with a magnetic 'puck' of sorts which allows you to hand headphones off of your case. - I do not intend to use this PC for VR... as of now. - The cable management.. it's just amazing. Made it so easy for me. Especially with the switch from a non-modular PSU to a modular one. - I probably should have waited for the RGB RAM corsair had coming out. All in all, the PROS outweigh the cons by a lot! I still have some learning to do but I would say this was a pretty awesome, and successful build! Keyboard comes tomorrow so I don't have to use this old Mac Pro keyboard while I wait for my new one. Lol. Update (3/6/2017): After using this computer for about 2-3 months I decided to let who ever comes across this how well the PC performs.. The small push on the RAM stick has caused no problems. I would get a single fan radiator next time in order for me to use a bottom fan for intake. It would substantially cool down my system, especially the GPU. I was thinking about water cooling my GPU after looking at temps, but after moving the GPU up to the top PCI slot and when I turn on my fans to performance mode, there is no reason to pay the extra $100. I probably should have gotten an Asus RGB motherboard. Should have waited for the gskill trident RGB RAM. I should have paid a little more money for a different monitor. The one I got takes a little bit of time to turn on after the computer turns on and also does not have speakers. But once the monitor is on, everything is super smooth and no problems. MSI.... Without black and red??!!?? Anyways, great MoBo, really acts as a good neutral color background for builds with a lot of lights. RAM that lights up, I'm in. Excellent SSD for a great price! Super fast! Amazing case. Lots of room, IMPECCABLE cable management options!!! Power supply? What more can I say...? Great adapter to give you the extra signal strength if Ethernet is not an option for you! Comes with 3 antennas. Make sure you have the correct PCI slot. Added about 2 mb/s download speed to my steam downloads compared to my gaming laptop. Great LEDs, awesome performance. Worth the money. Great monitor for someone who has a separate speaker system (this monitor doesn't have any audio speakers). 144Hz makes a HUGE difference in games coming from a general 60Hz monitor. I do need to warn you, however, that once you play on 144Hz, anything with 60Hz seems like there is serious frame lag. Almost ruins my gaming experience on my Origin laptop. (First world problems, I know. XD). Monitor takes a few seconds more seconds to turn on compared to others but it doesn't make me want to rate it down. Magnetic to stick anywhere, and comes with a USB to USB adapter. Great for use if your motherboard ran out of USB slots. There is a functionality reason for why I should move it. I have moved it already however, and this is just more reason for me to have moved it! Thanks for the information! Nice Build tho. I really want the NZXT Aer fans, but they are too expensive, so I'm only getting a hue+. Thanks, the AER fans are a premium that I decided I really wanted. If you can only spend so much for LEDs, the HUE + is an excellent choice. Solid build man, looks really good! I really like this one i think that it looks awesome i just have 2 things I'm not really sure about i would suggest and Ethernet cable from your router because you can get pretty long and generally in expensive cables also most houses have Ethernet wall plugs. The other thing is that with a GPU that looks that good and fits so well you should put it on the top one because if i owned that card I would be putting it on display everywhere. Overall i really like the build and it looks really good. We also do not have ANY Ethernet outlets on my house, so I would need to run one through air vents or along a wall(ugly). Currently the only way I could Do Ethernet is if I moved my PC on the floor of the office since the office has the router and the desk is taken up by my dad's 5K iMac (beautiful display). Thanks bro! Means a lot! Much respect, you're build is very similar to mine. How bad is the RAM clearance issue? I have 4 sticks of Vengeance LPX in my rig and I wanted to get this cooler but I was worried about compatibility. Does it bother you? Is the 1st RAM stick under any pressure? Does not affect the performance, once everything is on and running you don't really notice a difference. I would go ahead and still use the cooler and RAM. There is enough clearance. I did not have to force the RAM stick or cooler in at all, however, install the RAM after the cooler is installed. Glad my build could help you out! Have fun with it! I'd suggest moving the video card to the top slot and moving the AIO tubes so they can fit the GPU in the top slot. I have been considering this. I don't want to cover up the LEDs on the RAM. The GPU doesn't run hot down there either. Maybe in the future I switch it up a bit? Thanks for the input! That's what I thought. I didn't want to move the hoses to block the LEDs on the RAM, so I decided to see how the GPU works on the bottom. When I stressed tested it for 15 minutes, it didn't even reach 70 C let alone 80C. So I decided that it was fine. I am still thinking about moving it up and moving the wifi adapter down but we'll see. How many USB slots did you need though? It doesn't seem like you would need many with those parts, what parts needed to be plugged into USB? I needed 4 or 5 slots. The hub also helps to hide cables in the back too if you don't want to see a bunch of cables in the case if you like to see no cables. Great build, I've got something similar in phanteks pro m tg. I had same problem with Ethernet cables and then came across Powerline adapters which I've now used on tv's as well . They are perfect for this situation and I now get full Ethernet speeds, check them out. Thank bro. I will for sure check them out. Works great. No problems at all as of now. But the kraken works great and the pump makes no noise even on performance mode.